This is a limited edition screen print I designed for Gallery1988's recent "Idiot Box" show celebrating the current golden age of television. My print was inspired by "Parks and Recreation". 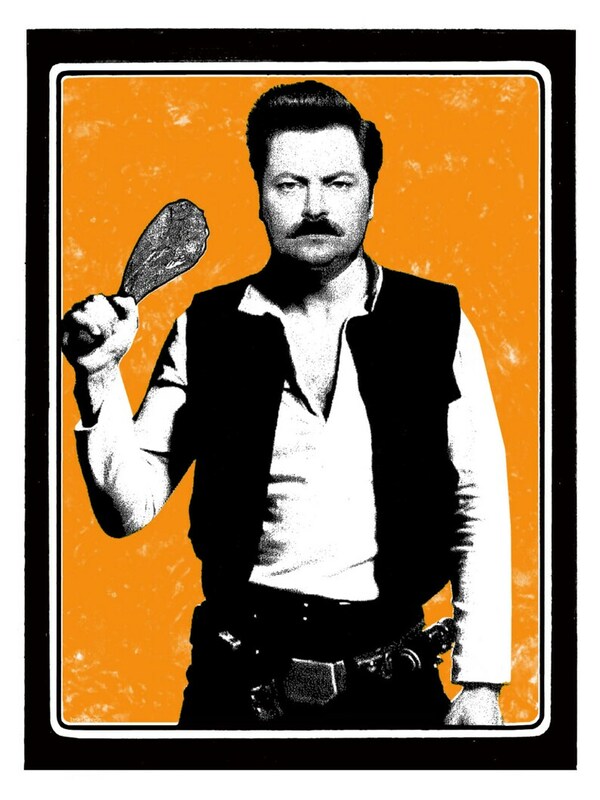 We were recently introducing our teenager to the show and our toddler kept referring to Ron Swanson as "Han Swanson" and thus the utterances of our youngest became a fun little print. Han measures 18x24 inches and is signed and numbered in a limited edition of 40. The show edition of these SOLD OUT at the gallery and these are the remaining copies.